If you’re looking for a day or evening for kid-friendly fun without breaking the bank, Metro Fun Center will meet your needs and exceed your expectations. 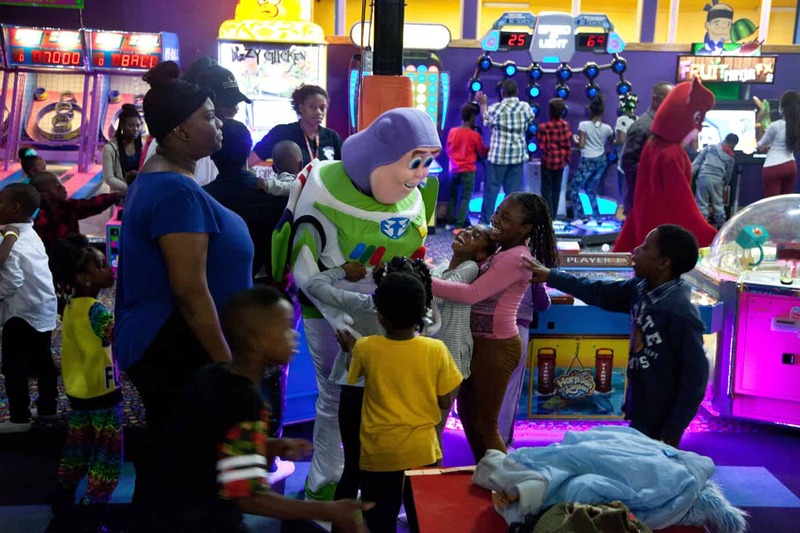 Metro Fun Center in Atlanta, a 120,000 square foot mega entertainment complex, is the place where your child will have the time of their life. You can choose from a vast range of different indoor activities, from bowling and skating to laser tag and inflatables, making Metro Fun Center your one-stop-shop for fun! Read on to learn more about the different indoor activities at our Atlanta fun center. Whether your kids are bowling strikes or gutter balls, Metro Fun Center offers more than 30 lanes and the ability to accommodate over 600 people. Needless to say, bowling is always a hit with children. Bowling offers legendary fun as well as a competitive component that pushes everyone to try to achieve their best. Does your child need a little assistance keeping the ball out of the gutter? Metro Fun Center also offers certain balls better suited for young children as well as bumpers to help build your child’s confidence. Metro Fun Center offers a tactical laser tag experience like no other that your children will never forget. Throughout each 15-minute game, your child’s strategic and critical thinking skills will be put to the test in a friendly and fun laser tag session. Each mission transports your child to an alternate universe where they will need to use strategy, stealth, and speed to mount a victory against the opposing team. Laser tag offers hours of fun for children of all ages. Best of all, our tactical laser tag is only $7.00 per game. If your children like traditional skating or traditional bowling, Metro Fun Center’s glow-in-the-dark themed skating and cosmic bowling will add a new level of excitement to the activity. Even if your child or children are not interested in traditional bowling or skating, our glow-in-the-dark activities represent a new dimension that seems to capture even the most disinterested young person’s attention. While skating can be fun for people of all ages, it’s especially fun and beneficial for kids. Our massive skating rink can accommodate more than 500 people. Your child can glide, twirl, whirl, and spin around the rink to their favorite tunes. Skating is an excellent source of cardio exercise as well and gives your child the space they need to unwind and let go. Best of all, skating at Metro Fun Center in Atlanta is exceptionally easy on your wallet. Children of all ages will enjoy playing in Metro Fun Center’s springy Playland. Our Bouncy House is made up of several different themed places for your child to explore while burning off energy. In addition, your child can score hoops with our basketball inflatables! Who says fun has to be expensive? Metro Fun Center is home to fun and affordable indoor activities for kids! Your child can skate, bowl, bounce and more for hours on end. So what are you waiting for? Visit Metro Fun Center today!